James Louis Barrault - Edmonton's Burial & Cremation Professionals | Trinity Funeral Home Ltd. 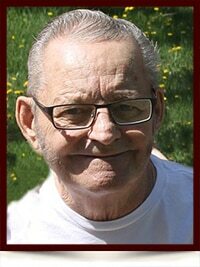 It is with saddened hearts that the family of Jim Barrault announce his passing at the age of 78. Jim leaves behind his loving wife Marlene, son Jim (Karen), daughter Heather (Wes), grandchildren Jenny, Ashley (Kyle), Katelynn and Brianne (James), great grandchildren Jaiden, Isaiah and Madison, sisters Shirley and Beverly (Klaus) as well as many loving nieces, nephews and extended family members. Following Jim’s wishes, no formal funeral service will be held. There will be a private gathering for family and friends. Thoughts and prayers sent to all. May you rest in peace brother.